Join us on Saturday, August 15 at 11:00 and learn how to make a “bucket purse” complete with three matching cards and lined envelopes. This class will be held in my home. 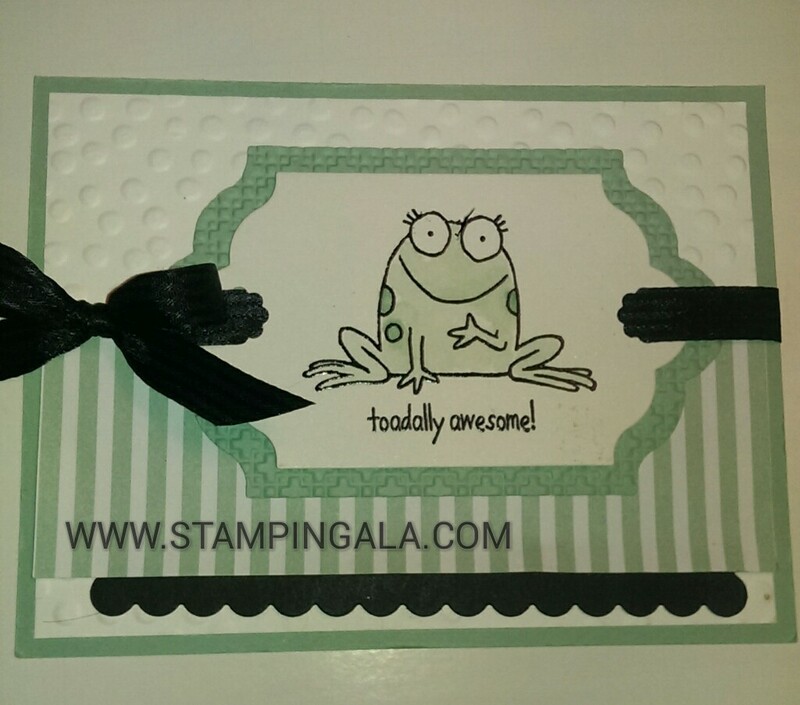 I have to admit, this stamp set was not one of my favorites when the new catalog was released. However, once I started playing with it, I fell in love!! So many of my customers used this card for different occasions. 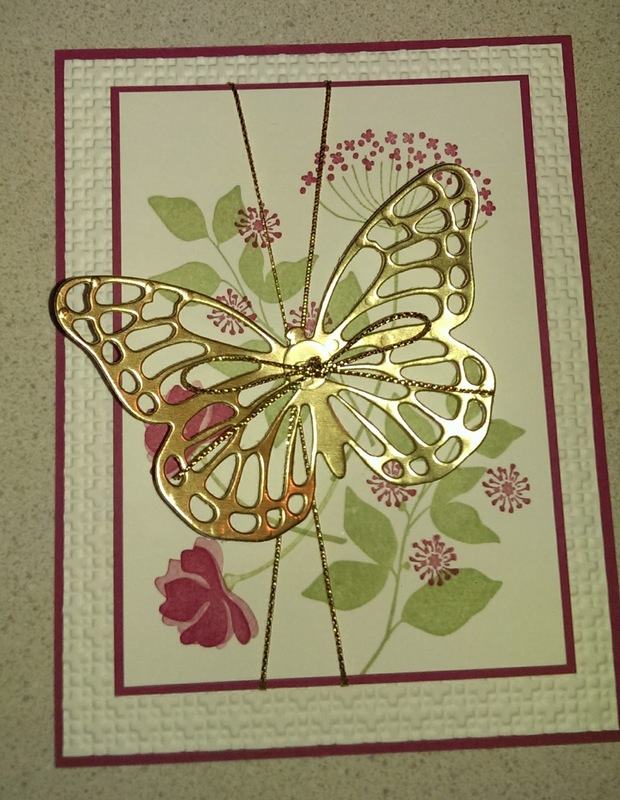 I love to have a few on hand for a “go to” card. REMEMBER THE CLEARANCE RACK HAS BEEN UPDATED. SAVINGS UP TO 80% OFF!! 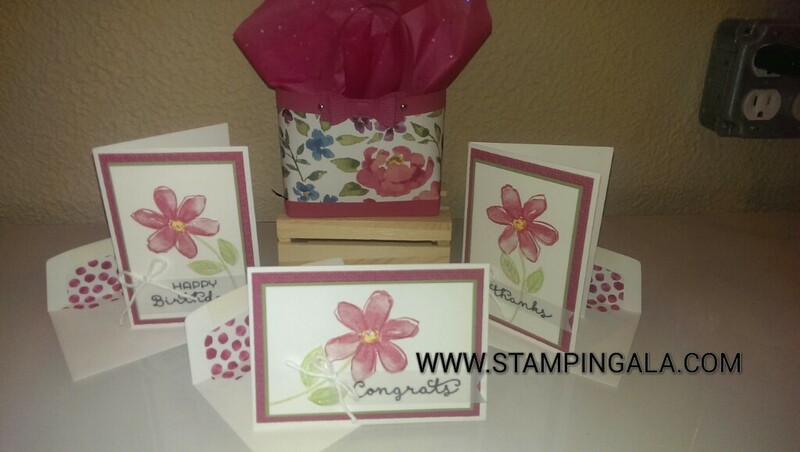 Thank you for choosing me as your Stampin Up Demonstrator!! !